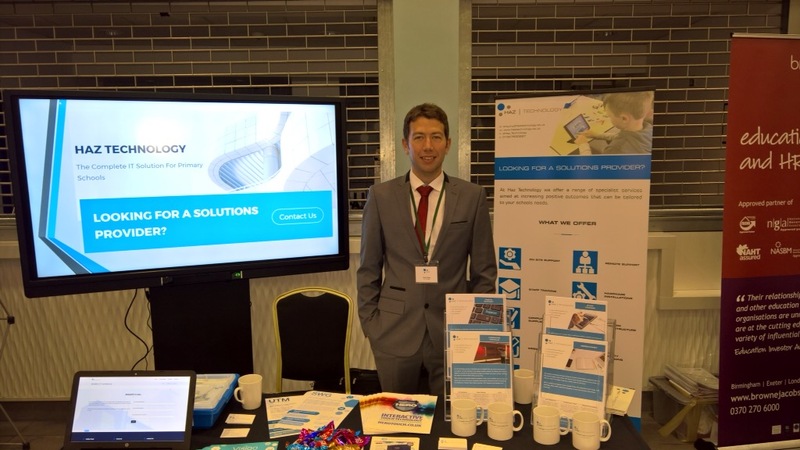 As a new sponsor of the Birmingham Association of School Business Managers (BASBM) group it was a great pleasure to be invited along today to exhibit at the ICT Conference, hosted at the Edgbaston Cricket ground in the centre of the city. The event was added to the calendar as an addition to the termly conferences hosted throughout the year, with a clear focus on ICT in schools offering a number interesting workshops for the delegates who attended. Not only was it a welcome opportunity for us to introduce our company to the BASBM members, it was nice to see some familiar faces and chat to people from schools that we’ve supported in the past. It’s always nice to speak to people in schools, hear about the day-to-day challenges they face and discuss the possible ways in which we can offer support and assistance. Also exhibiting alongside us today were a number of local companies offering a variety of services and products ranging from online payment systems, site security and visitor access products. The event as a whole was a great success and we look forward to future interaction with the members of the BASBM.